Does SPELD recognise PLD's programs? Keep in mind that there is a range of SPELD organisations around Australia, and there are differences in how each operates. Each SPELD organisation is extremely busy catering for large numbers of students and families, but in general PLD has a positive working relationship with as many of the SPELD&apos;s as we can manage. 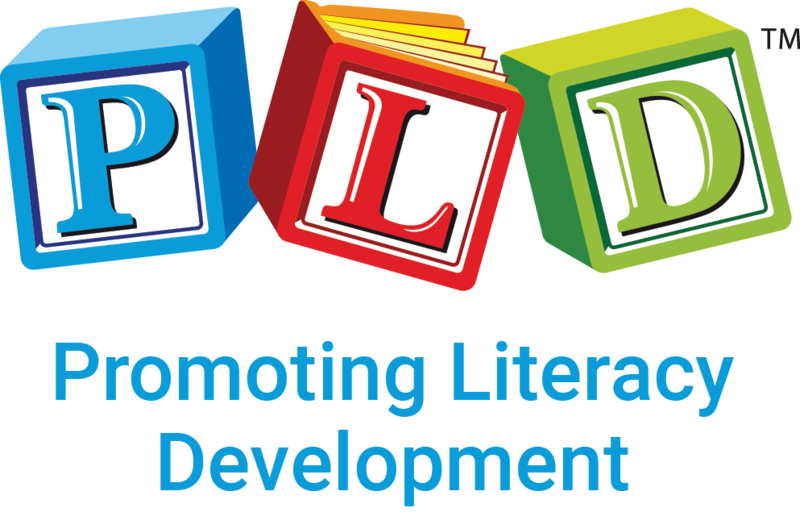 Most SPELD&apos;s have been supplied with a collection of the PLD programs for their libraries and PLD also collaborates annually with workshop presentations. Wave 1 (or Tier 1) Programs: Students require quality classroom instruction from their junior primary years. This involves the skillful delivery of an evidence-based program at a whole class and small group level, so that as many children as possible achieve a positive start to literacy. This is PLD&apos;s area of strength, as the PLD originally stood for &apos;Preventing Literacy Difficulties&apos;. The outcomes for students are inevitably highest when evidence-based instruction is skillfully delivered form the earliest years in education. Wave 2 (or Tier 2) Programs: Even when classroom teachers skillfully implement wave 1 programs, a group of students will always require wave (or tier) 2 teaching. When delivered in a small group and at the earliest point of experiencing the difficulty, the students receiving an appropriate program, have the potential to catch up to their age matched peers. Early intervention is critical. This can be delivered by a specifically trained education assistant or a literacy support teacher. When students possess the needs of wave 3 highly personalised long-term intervention is required. These students typically present with a range of cognition, learning, behavioural, emotional, social, communication, sensory and/or physical needs. They have the potential to progress, but the outcomes are limited and it is a costly process. Wave 3 programs are typically delivered in pairs or individually over the long-term for minimal gains. While some schools selectively apply some of the PLD programs to wave 3 students, there are other programs that are more likely to have broad effectiveness to this diverse high need group. Keep in mind that the SPELD&apos;s are frequently asked to assess students who clearly have not received effective school-based wave 1 and wave 2 programs and then as a consequence they find themselves in the situation of requiring wave 3 intervention and a potential dyslexia diagnosis. SPELDs are increasingly asking schools for proof of the delivery of the evidence-based programs delivered at the wave 1 and 2 level. The SPELD&apos;s are frequently frustrated that if students were receiving quality and timely wave 1 and 2 instruction, dyslexia may have been prevented. 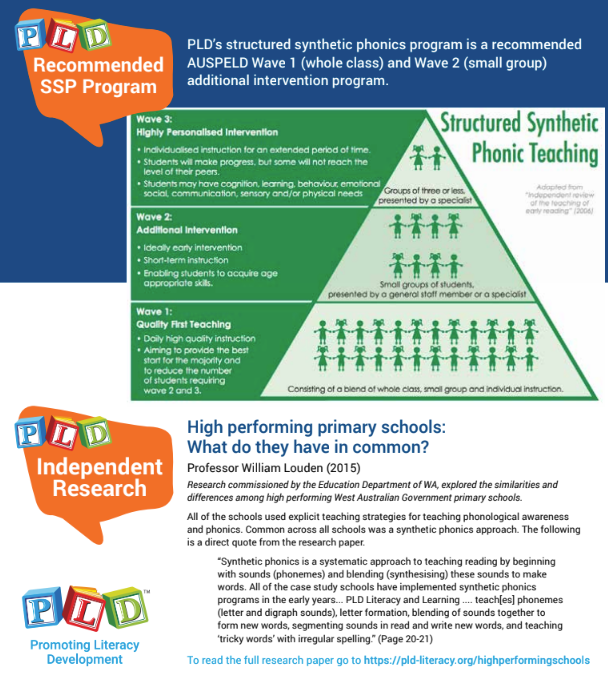 There are also students (waiting for a SPELD assessment) who when presented with an evidence-based structured synthetic phonics program, show marked development in their skills; thus indicating that it was the absence of quality teaching that has contributed to the student&apos;s situation. Schools are not always the most organised in consistently delivering wave 1, 2 and 3 programs and instruction. While the SPELD&apos;s deliver a service of delivering assessments and diagnosing dyslexia, they also advocate best practice. The SPELD&apos;s also act to encourage evidence-based processes and programs in schools to prevent students acquiring the diagnosis of dyslexic. The new Phonic & Sight Word Sequence has many assessments that will enable schools to schedule wave 2 follow-up at the earliest point that the difficulties are identified and when students are starting to fall behind their peers. One of screens is listed below. 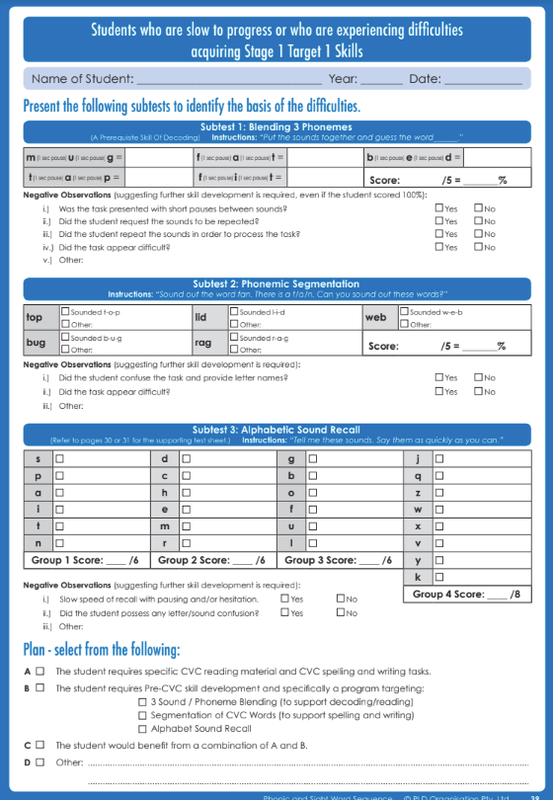 Prior to Year 1 or in Term 1 of Year 1 this 5 minute screen frequently identifies the basis of the CVC difficulties and assist in establishing a plan of intervention.